The Best Part of Any Project Is Adding Those Finishing Touches! 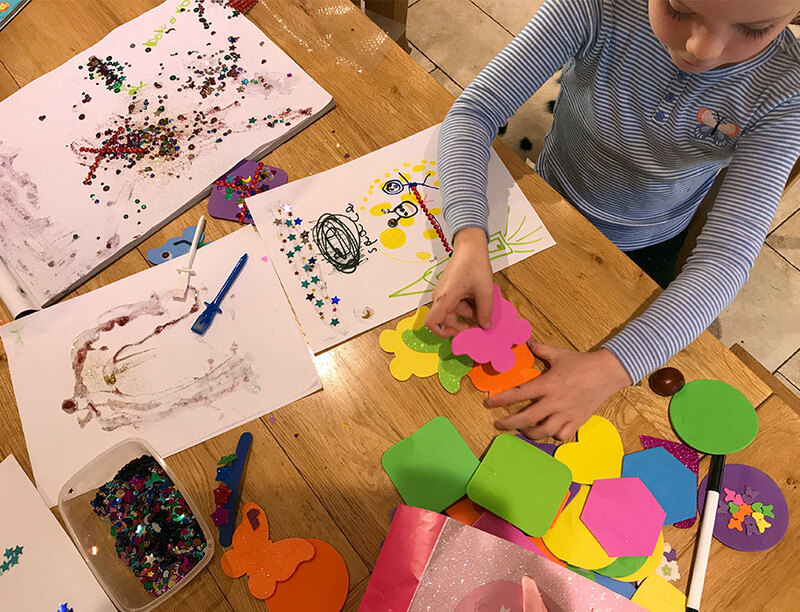 Collage materials, decorative tapes and glitter provide variety and pizzazz for children to push their creative boundaries! 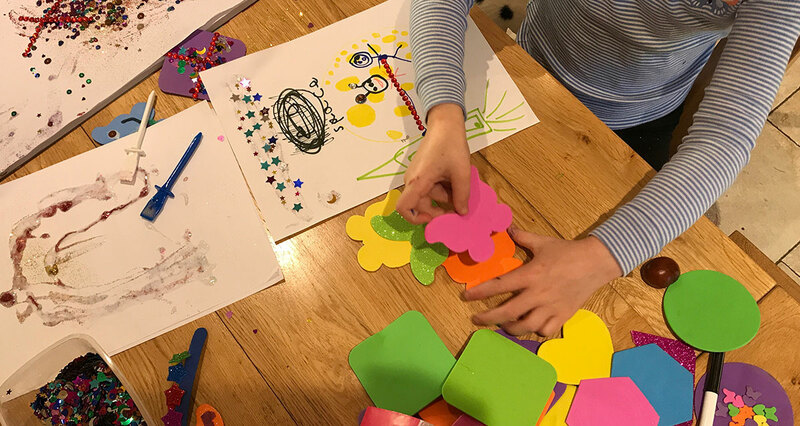 Once children have mastered foundational materials and tools, collage materials and embellishments help inspire confidence to personalize and individualize any project. The creative choices they make provide young artists with outlets for self-expression and communication with other children and adults. 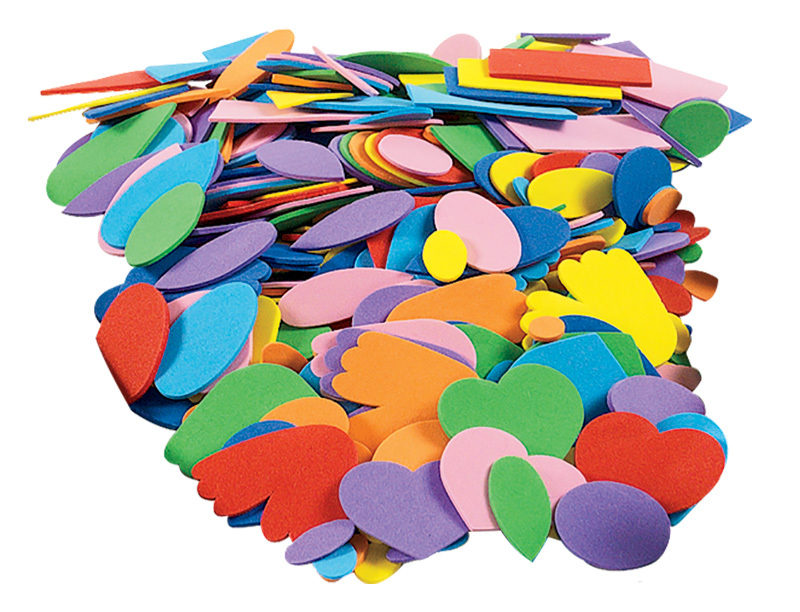 Manipulating these materials and experiencing their colors and textures also helps children discover the emotional pleasure of sensory-tactile play. 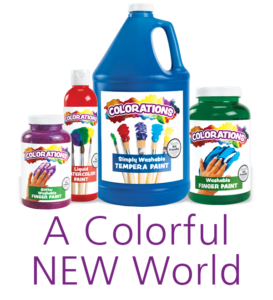 Our decorating products come in an endless variety of colors, shapes, sizes and textures to inspire creativity. 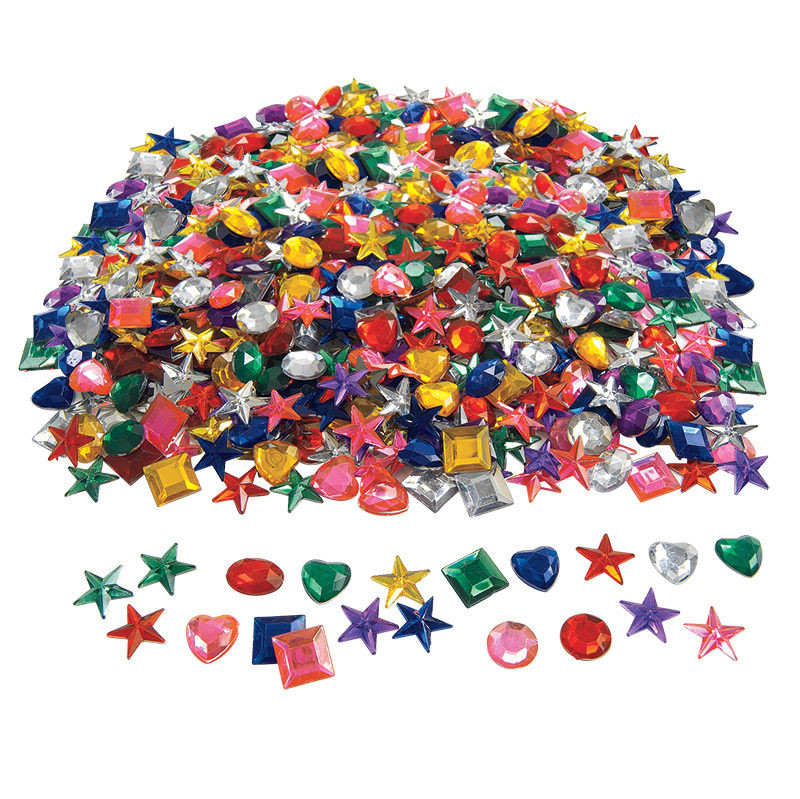 Embellish your next project with our top quality assortment, value priced for your home or classroom. 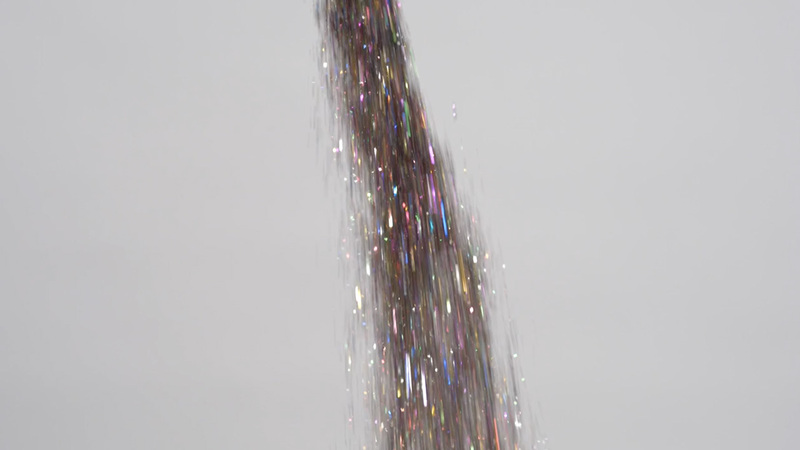 Shimmers and sparkles that dazzle and delight! 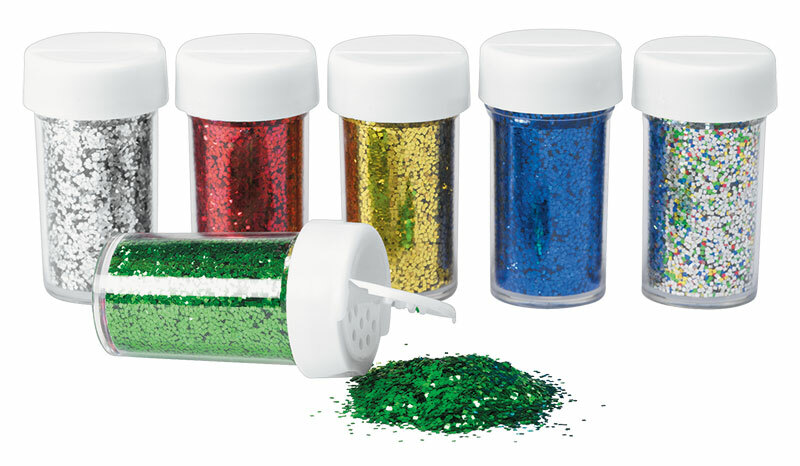 Glitter, gems and sequins offer especially exciting means for children to explore color recognition, patterning and their own personal creative preferences. 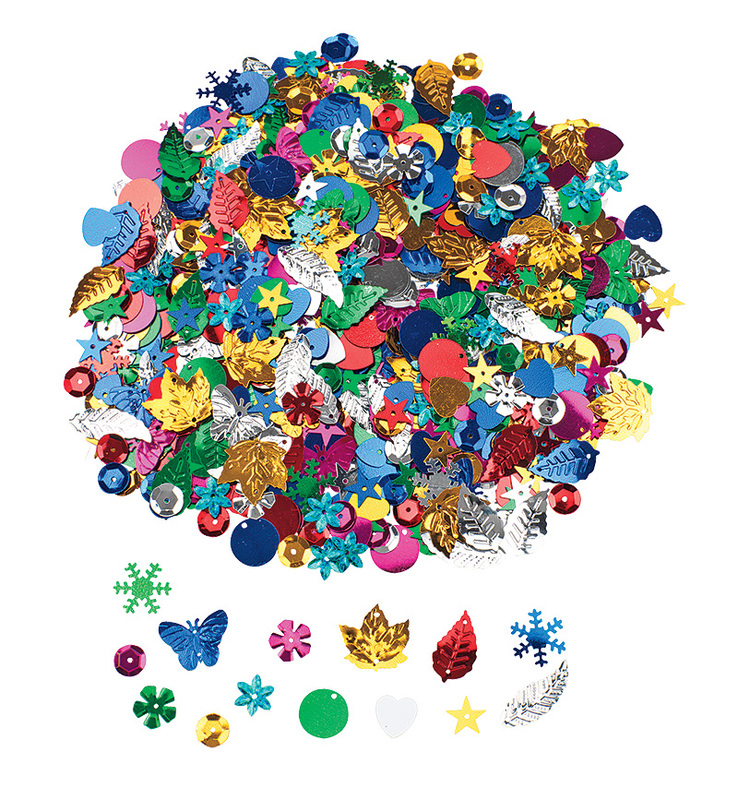 Our selection is full of shimmery options that children will adore. 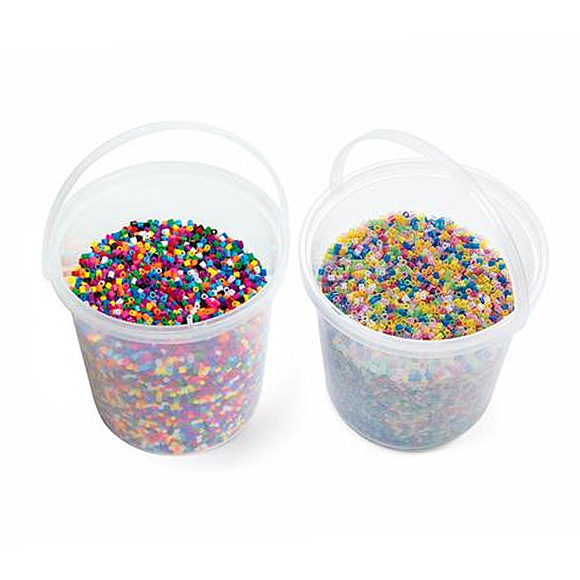 Plus, with sealed containers and self-adhesive options, it's easier than ever to add glitz and glamour without a mess! 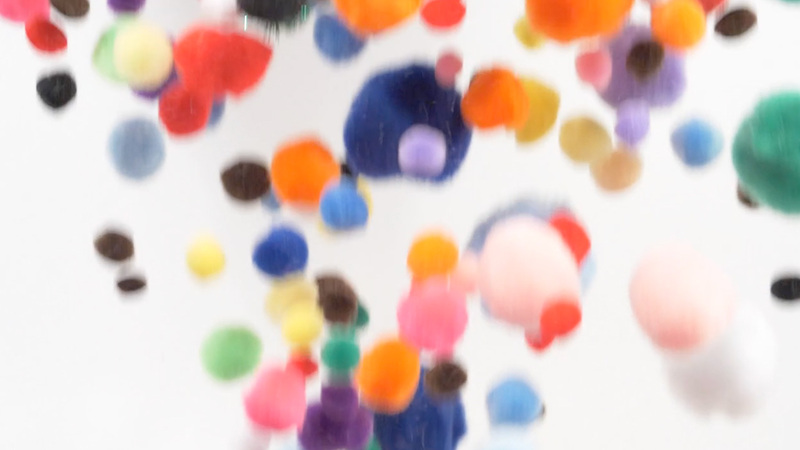 Poms and foam shapes are not only great for adding onto other projects—they can even form the basis of their own unique crafts. 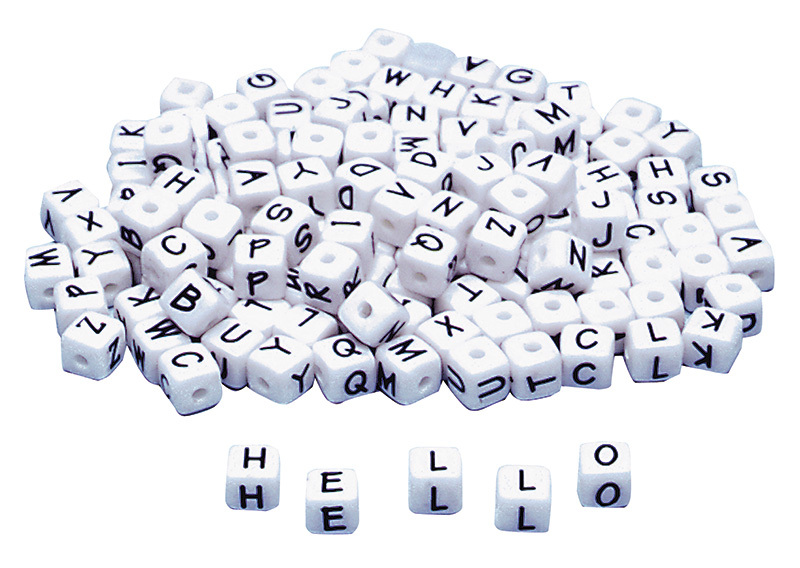 Combine foam shapes and poms in unique ways to create letters, numbers, unusual shapes, critters and so much more. 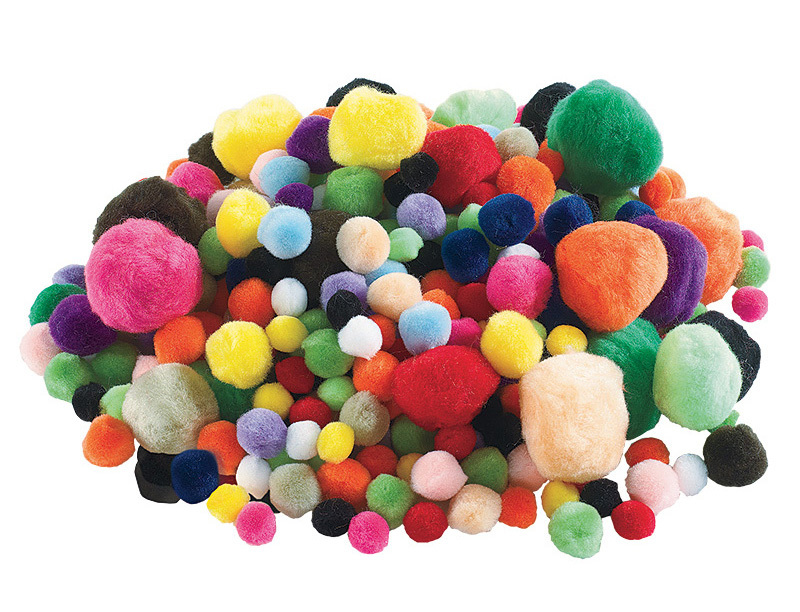 Explore our wide selection of fuzzy and foamy pieces for both classroom and home projects. Children simply adore wiggly eyes! 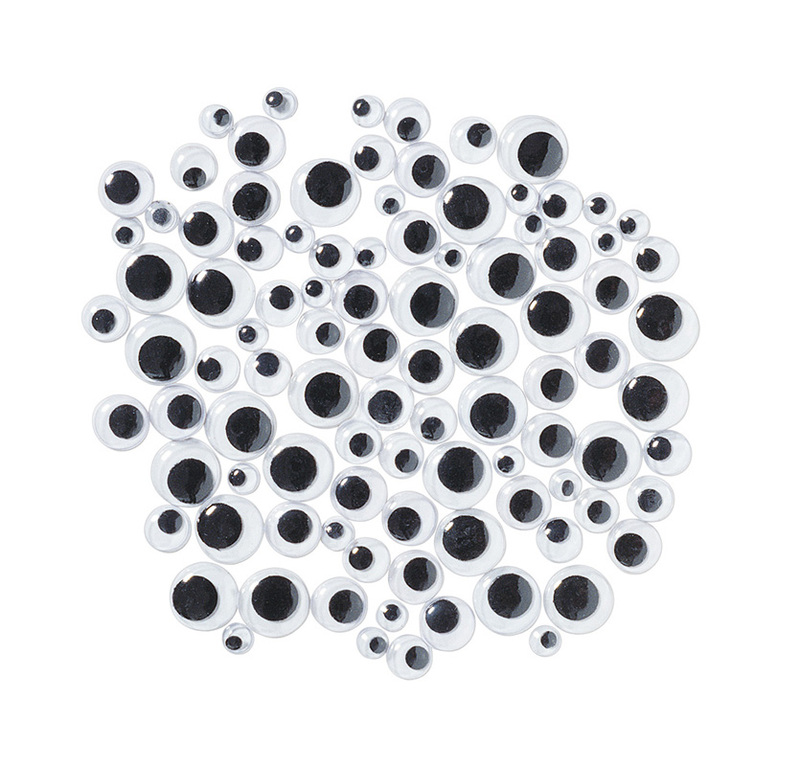 Add wiggly eyes to drawings and felt dolls or other craft materials such as poms and craft tubes to make creations come alive. 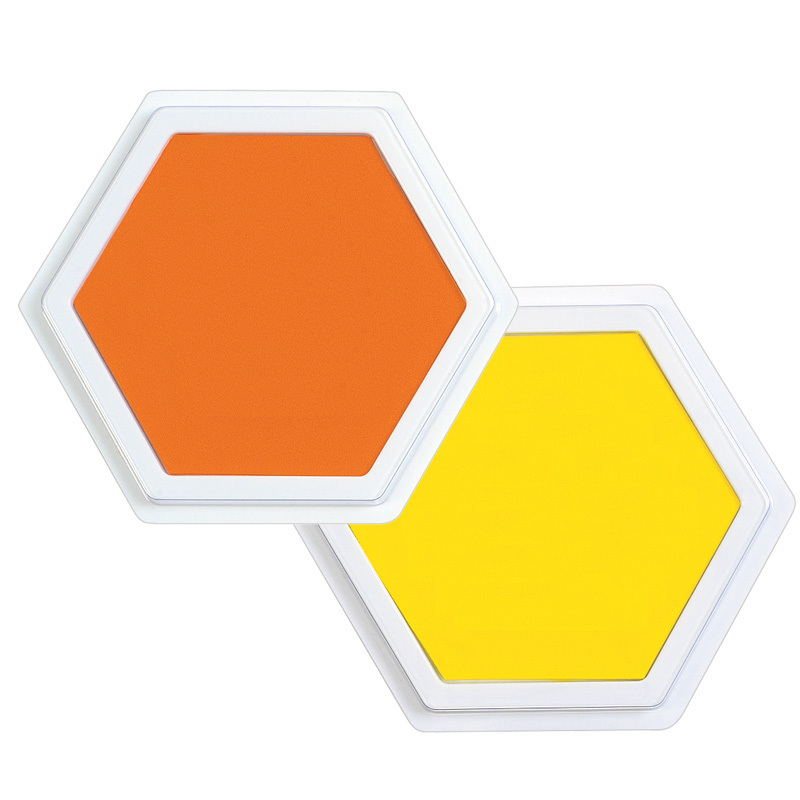 Available in a wide variety of sizes, colors and even self-adhesive options. 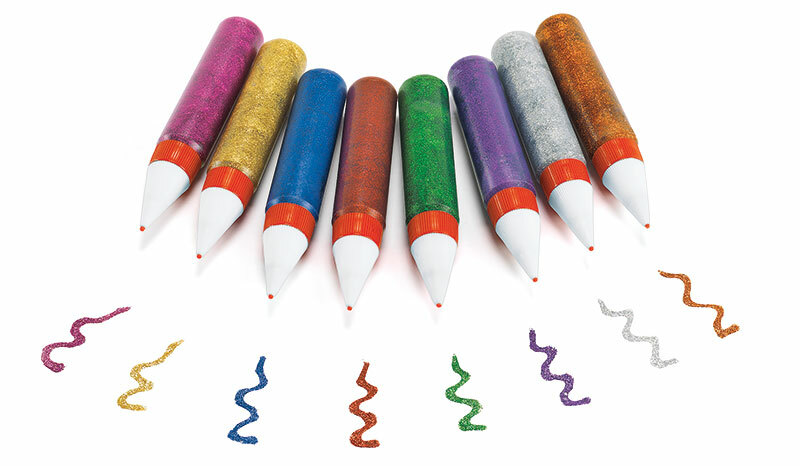 Colorations wiggly eyes add a delightful touch of life to any project! 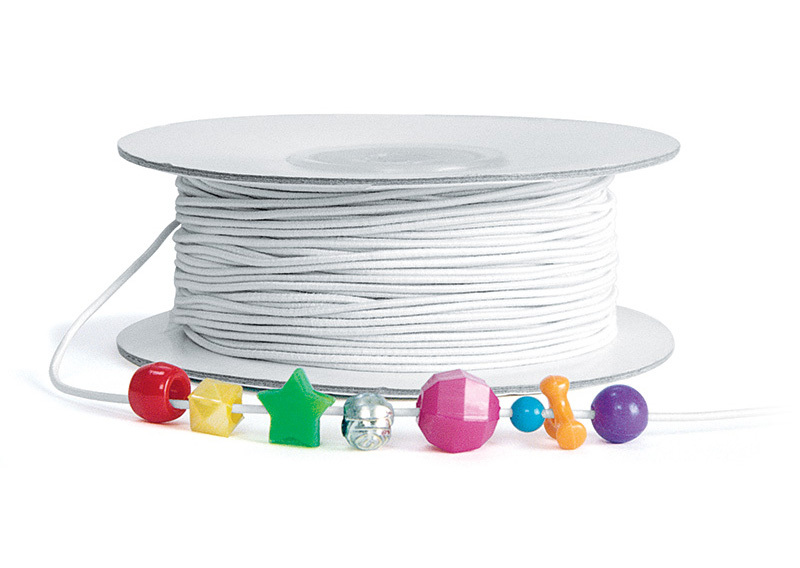 Lacing activities are a childhood favorite, and when it comes to beads, Colorations has an enormous variety of shapes, textures, materials and colors! 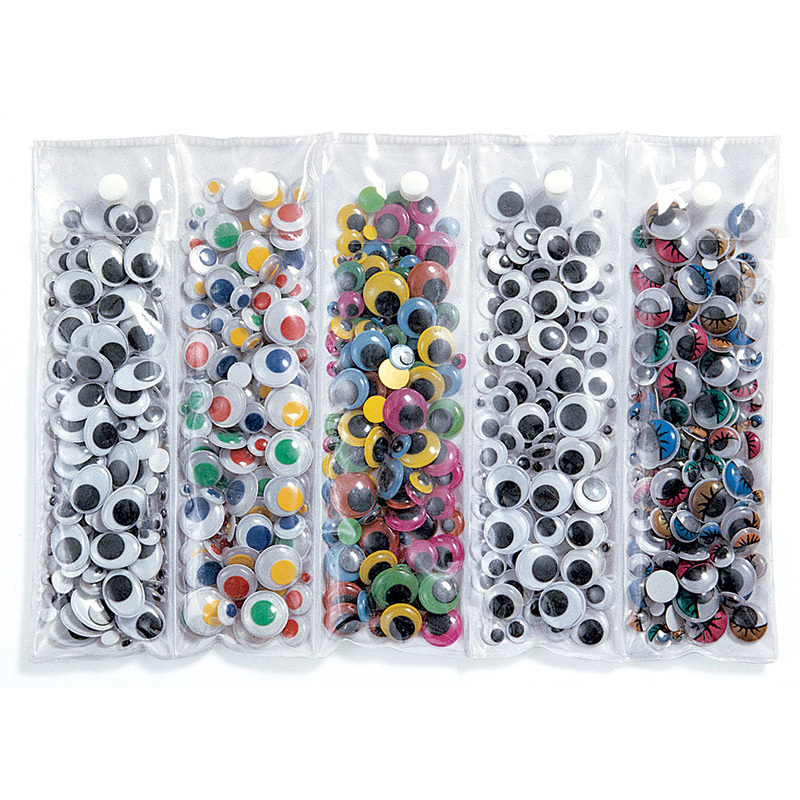 You'll find solid colors, translucent beads, wooden beads, fuzzy pom-pom beads, foam beads, letter beads—the list goes on and on! 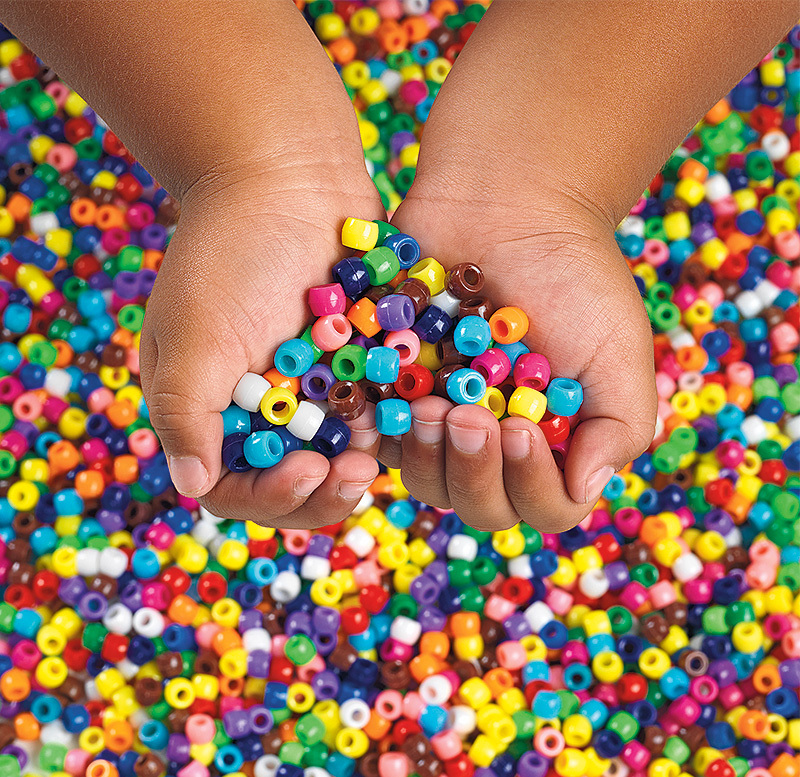 Build fine motor skills, experiment with patterns and more with lacing and beading activities. Colorations stamp pads come in a variety of size and colors with stampers featuring animals, numbers, letters, vehicles and more! 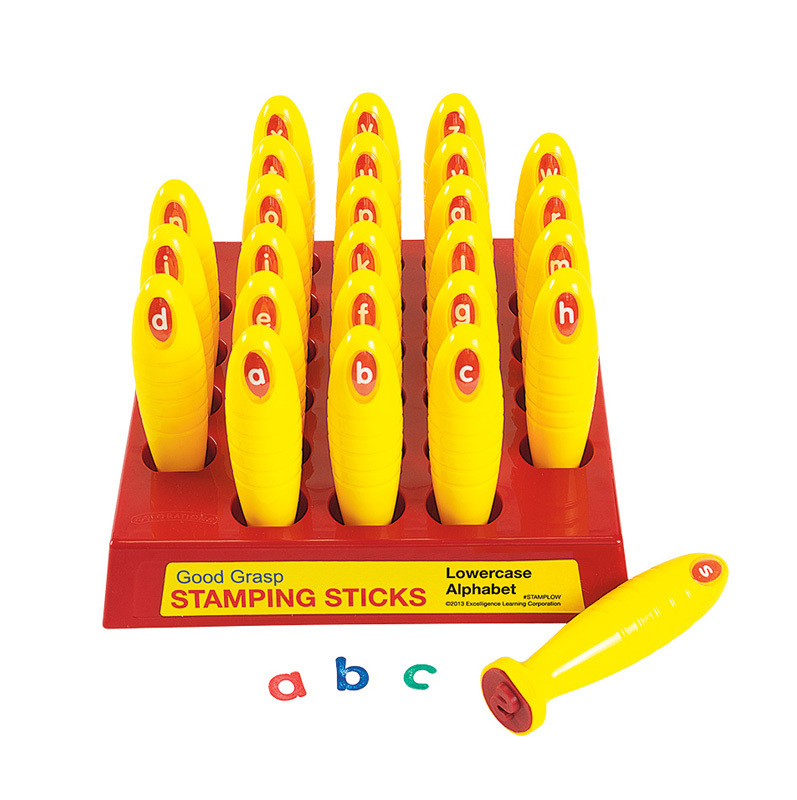 In addition, our very own stamping sticks feature numbers, uppercase letters, lowercase letters and shapes to help young children develop motor skills and number, shape and letter recognition.